Water Sports Rental began its adventure in the Spring of 2016. We are expanding this year and are super excited yet nervous at the same time for this upcoming year. Offering at this time Stand-Up Paddleboards (SUP), Kayaks and Lily Pads for rent. With the option to pick up or have them delivered (additional fees) to the lake of your choice in the Park Rapids and surrounding area. Lily Pads: Great for lounging or for playing on, the Lily Pad is versatile enough for all ages and large enough for the whole family. Triple-ply polyfoam mat 18'L X 6'W Up to 6 People can walk, play or lounge on this water carpet. Stand Up Paddleboarding (SUP): It is all the rage. SUP is the fastest growing water sport in the world. Combine surfing with kayaking and you’ve got stand up paddleboarding. Many people are drawn to paddleboarding because it is an amazing full-body workout that improves your core strength, cardio fitness, balance, and flexibility with virtually no impact. Plus, it’s fun to get out on the water to enjoy the tranquil beauty of our local lakes, so it hardly feels like exercise. Even though paddleboarding is a total-body workout, people of all ages and fitness levels can try the sport. 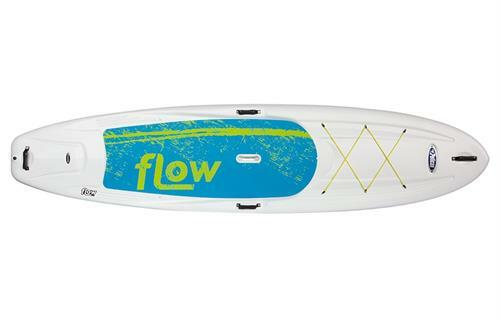 Many SUP boarders use it for a cross training workout. It improves your core strength and balance, especially when incorporating yoga on the board. Kayaks: Kayaking is one of those classic activities that puts you right in the center of nature and provides an excellent workout.